If you are finding that you are already overwhelmed by all of the gardening checklists and garden to-do lists out there, you may be considering a more practical way to enjoy your pristine garden lawn without the need for endless hours of hard garden labour. Of course, you will be itching to get stuck in so you can sit back, relax and enjoy your new low-maintenance artificial lawn. But before you get carried away and make an impulsive decision, you should carefully consider what is involved and what factors go into picking the perfect patch of grass. Perhaps you are asking what is the best artificial turf to buy? Maybe you’re wondering if it really is an easy alternative to traditional living lawn? 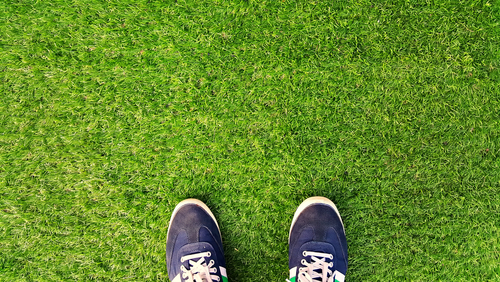 Whatever your query, check out our ultimate guide to buying artificial grass. Pets to keep happy? Kids in need of somewhere to have a kickabout? Perhaps you are after an all-hours putting green to practice on, a low-maintenance lifestyle or even a quirky carpet choice. Long before you start your project and start worrying about the details, and even before picking the lawn you want, you need to determine exactly what it is you are getting this new grass for. 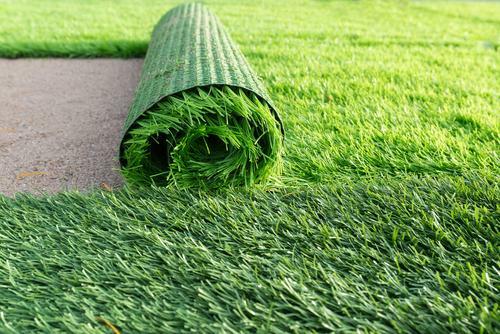 The type of grip-heavy lawn you would need to golf on is not going to be the same as the full and fluffy luxury lawn you will want for your family garden. So think about the intended purpose and look for the lawn that fits. Know the lay of the land. There is an artificial lawn for every occasion, so make sure you pick the right one for your specific setup. Sand-infills are great for flat landscapes but not so much for inclines, where gravity causes the sand infill to roll down the slope over time, leaving the lawn less stable and weighted. Again, do your research and make sure you get the lawn you need. Naturally, there are initial costs associated with a new artificial lawn, but there is also plenty in the way of profit when you look at artificial lawn as a long-term investment. With that said, it is always worth doing the maths to see what spend and savings you need to account for. So now you’ve researched the benefits and bonuses of artificial grass in its many varieties, and you are armed with our ultimate guide to buying artificial grass, you can take the first step towards a happier home and garden.